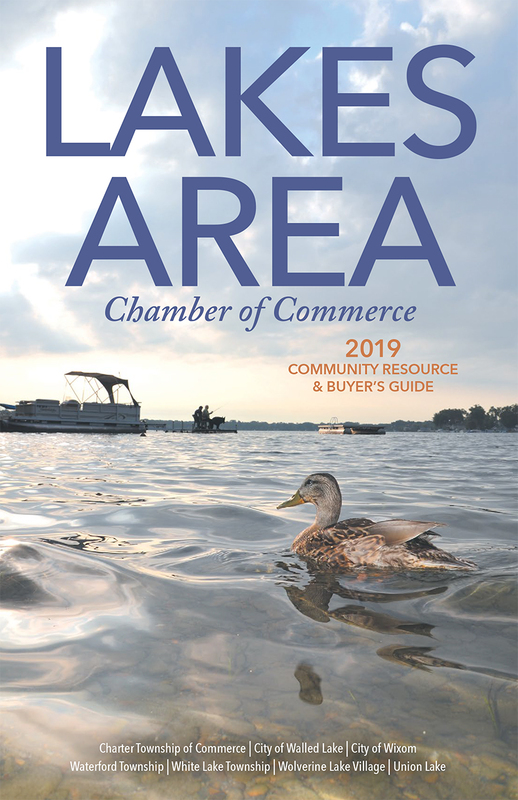 As West Oakland’s Regional Chamber, we are the chamber of commerce for Walled Lake, Wixom, Wolverine Lake Village, Commerce, Waterford and White Lake townships and the Union Lake Business District. We have proudly served these communities since 1950. Over the years, the Chamber has grown into a respected and valuable asset to local business and the community at large. With approximately 400 members, the Chamber represents a diversified group of businesses. Many people think a Chamber of Commerce is part of their local government. Although at times we work closely with them, the chamber is not a part of the local government. Our purpose is to improve the quality of life for businesses and residents in the lakes area. We act as a unified voice on behalf of the business community, and provide a forum to discuss and review topics of interest within the lakes area. In addition, we serve as a source of information and develop programs that are responsive to the needs of the communities we serve. We encourage both individuals and businesses to participate in our chamber.